Nocturne is is available singly as a booklet from https://www.highbridgemusic.co.uk/onlinestore (or by enquiry to anna@annamenzies.com). In B major, composed in 1975 in Cuckfield. Published 1996 as Number 2 of 'Lifecycle'. (Previously published as number 2 of Eight Character Pieces). Popular as a piece for piano players of Grade 7 to 8. In 2011 Howard wrote the test-piece for The Hong Kong International Piano Competition which he attended. The President of the jury was Vladimir Ashkenazy who liked the work (Speech after long silence) and expressed his desire to record an album of Howard's piano music. This took place between March and July 2013. The repertoire includes two works for two pianos in which he is joined by his son Vovka and concert performances of these works were given in Lugano for RSI on 9th March 2013 just prior to the recordings. 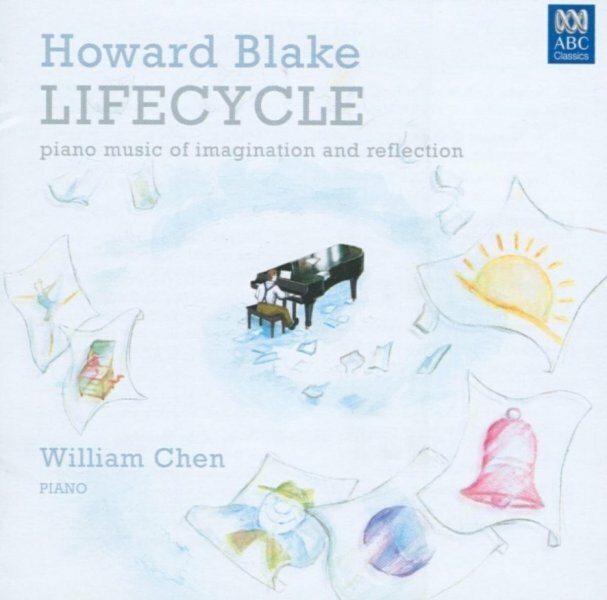 The completed 80-minute album also presents a wide selection of Howard Blake's solo pieces for piano performed by Vladimir Ashkenazy himself. The completed album will be released by Decca on March 3rd 2014. The title track of the album is a solo piano version of 'Walking in the air' of which a single for download was issued as a pre-release for download on December 2nd 2013. Three Blake pieces to be played by the Russian pianist Evgenia Startseva - notable for her performances partnering Maxim Vengerov.